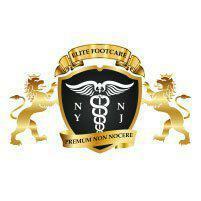 Dr. Michael Genkin is a diligent, highly capable podiatrist serving patients in Lower Manhattan and Midtown, New York. Dr. Genkin also offers sports medicine and physical therapy services. Originally from the Republic of Belarus, USSR, Dr. Genkin studied at the New York College of Podiatric Medicine. After graduating, he completed his residency in podiatric medicine and surgery at the Wyckoff Heights Medical Center in Brooklyn, New York. Dr. Genkin is fluent in English and Russian, so he’s able to treat patients from a variety of cultural backgrounds. He has experience in almost all areas of podiatry, from the treatment of routine foot problems to highly complicated surgical procedures, including reconstructive foot surgery, diabetic limb salvage, joint replacement, plantar fasciotomy, bunionectomy, and hammertoe correction. Dr. Genkin always puts his patients’ well-being first and treats them as though they’re part of his family. Rather than treating a patient’s symptoms directly, Dr. Genkin always looks for and addresses the underlying cause of the problem. By taking care of the factors that lead to the patient’s symptoms, he’s able to provide a complete treatment plan that may prevent a lifetime of chronic pain and injuries. "Great bedside manner. Very knowledgeable, he spoke to me in layman's terms and really made me feel comfortable. I highly recommend Dr. Genkin."